Here at Kosei, we teach English language skills that will be useful in the real world and for university entrance examinations! We place an emphasis on both practical English that students can use in the real world, and English that will help our students to get accepted to university. In this way, students in all of our courses study in an environment that helps them to improve their overall English language skills. What’s more, we give them the chance to study English all over the world. For English conversation classes, each class is split into two groups. 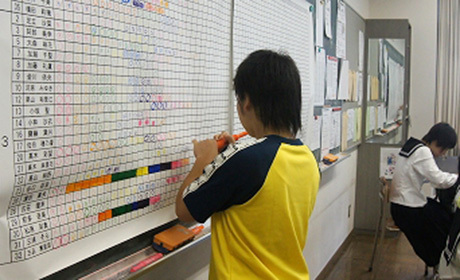 These two groups are overseen by two native teachers and one Japanese teacher. In this way, we create an environment where each and every student has the chance to speak English and hear English in class. This helps to improve their overall communicative ability. The English level of students on all of our courses improves through our school’s focus on promoting high level English language skills. Students who study at our junior high school have a strong awareness of the English language, and this is passed on to students who enter our high school. This has an impressive effect on our students’ overall grades. Our global programs. The smart choice! 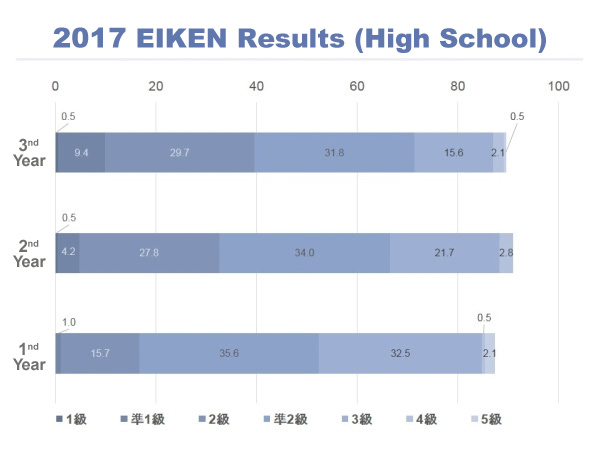 Our EIKEN festival produces results!Our pass rates for levels 1, Pre-1 and 2 of EIKEN keep on rising! Students learn speed reading, essay writing, grammar and vocabulary exercises and check their progress through frequent tests. In this way, our students develop a strong knowledge of the basics of the English language, as well as the ability to use these skills to achieve their goals, and to pass EIKEN. 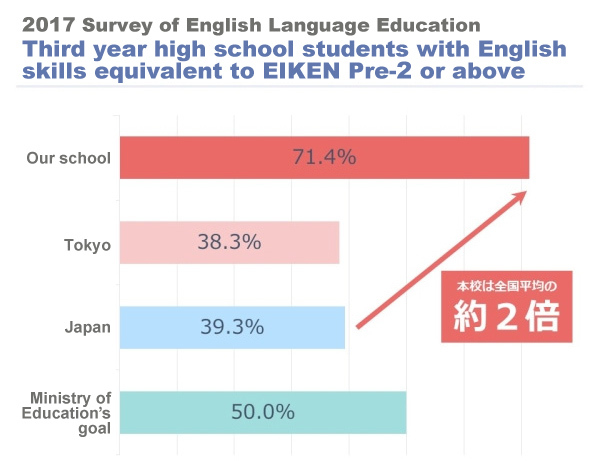 Such continuous practice ensures that our students’ pass rate for levels 1, Pre-1 and 2 of EIKEN keeps soaring, as does our acceptance rate for elite universities!